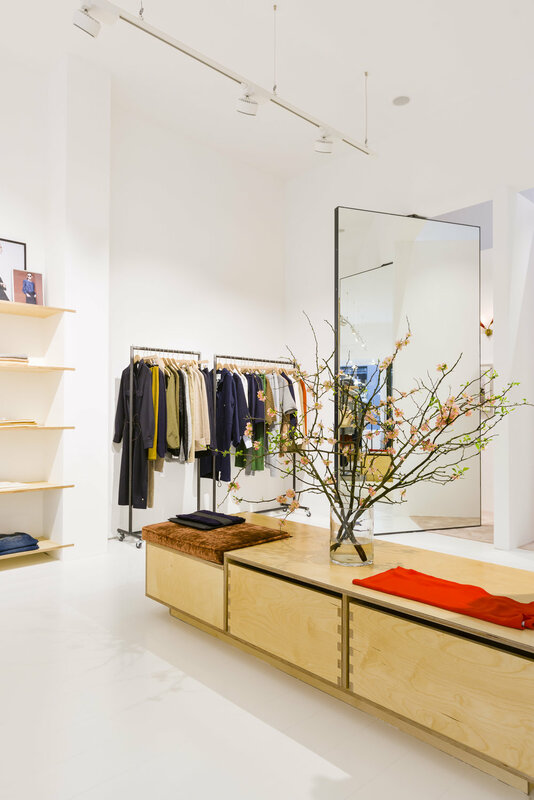 Interior design for Rue Blanche Shop in the Louise district of Brussels. 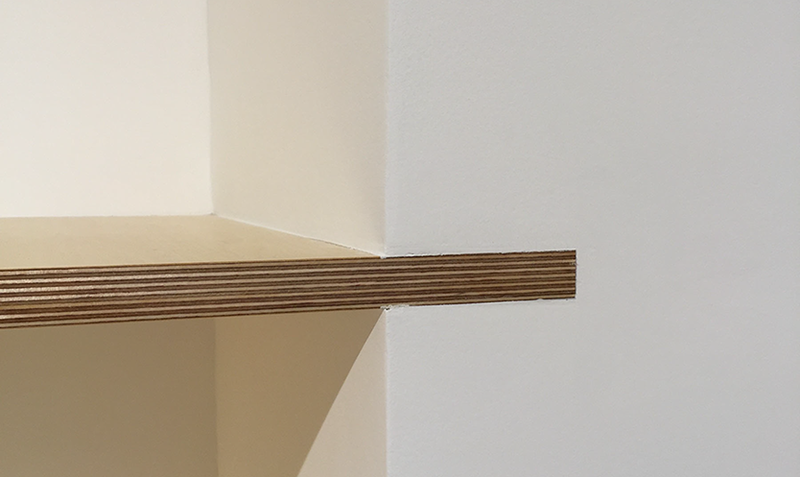 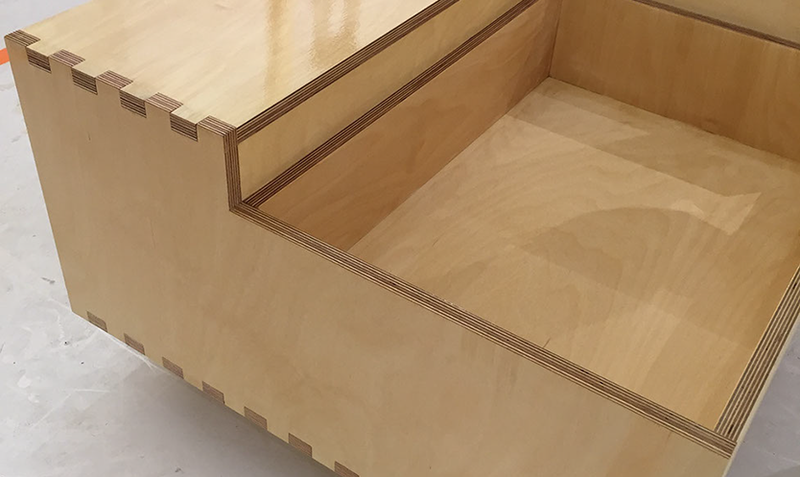 Respecting our signature woodworking approach, only using assemblies in the finishing of the furniture including in the integrated shelves in the wall. 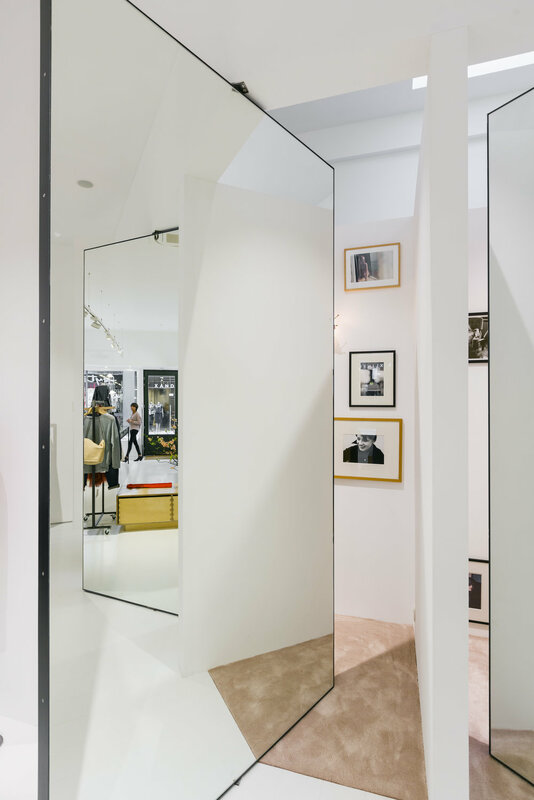 Each of the three large wooden doors also functions as a mirror. 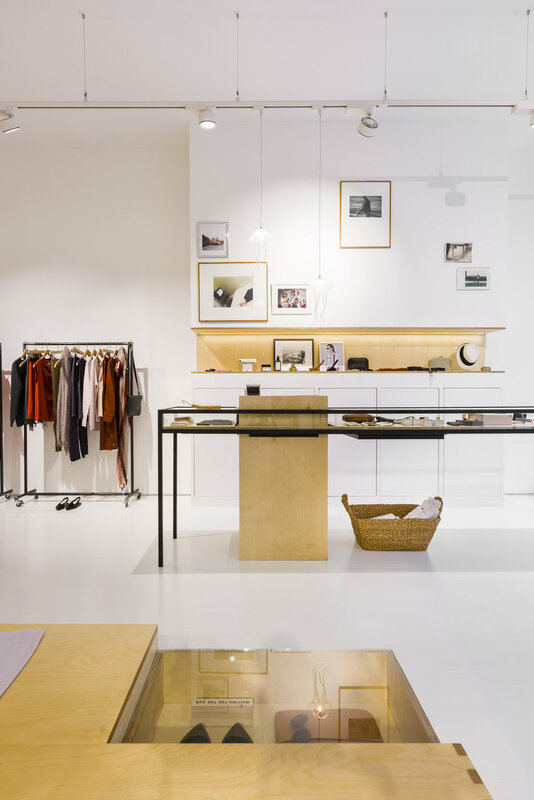 They were designed specifically for the space and can turn 360% to transform the entire atmosphere of the shop.